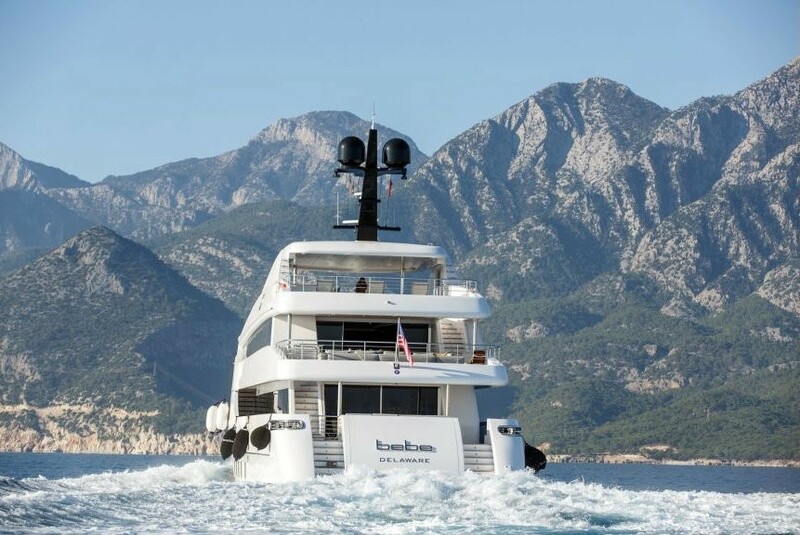 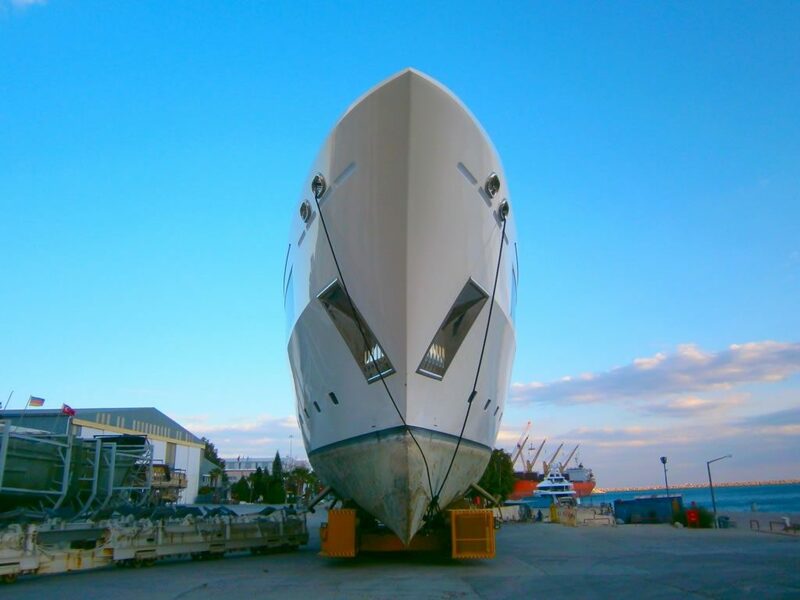 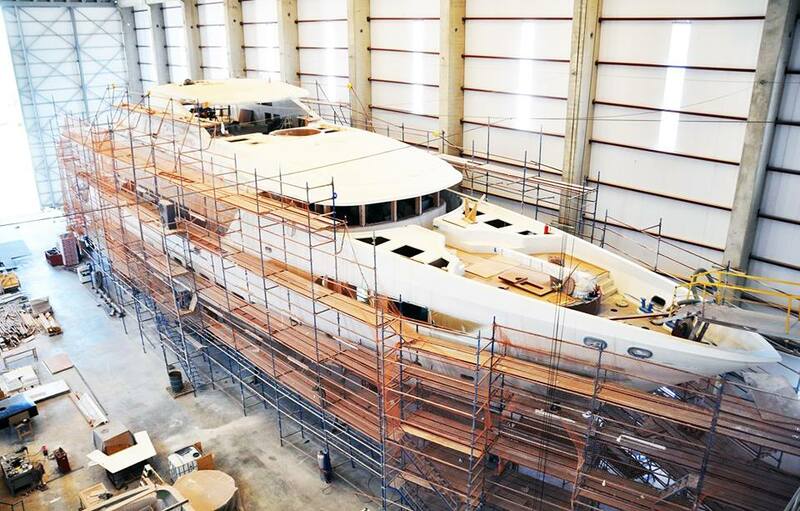 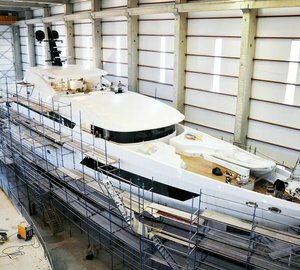 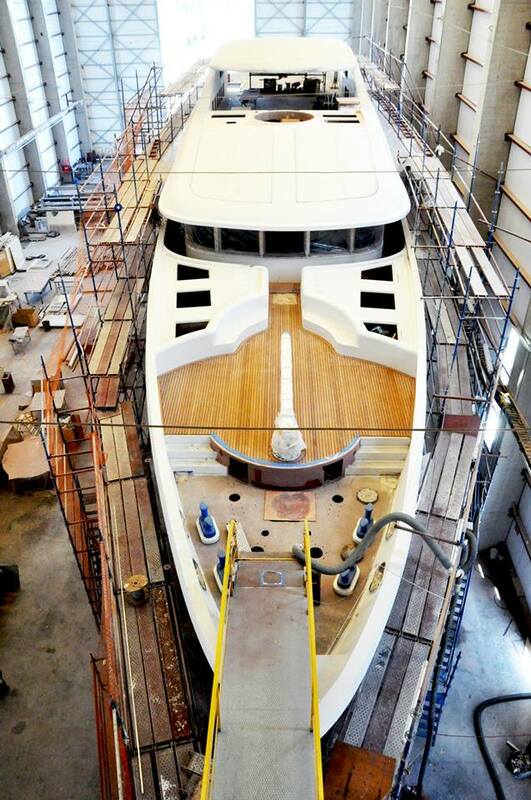 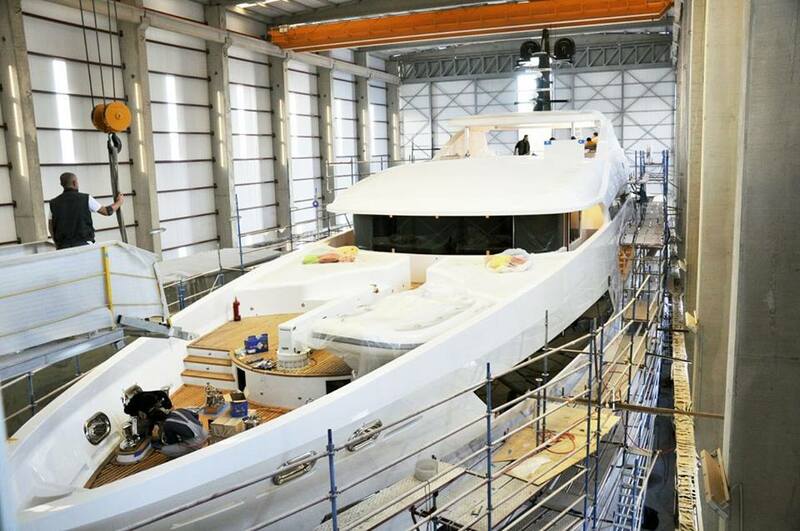 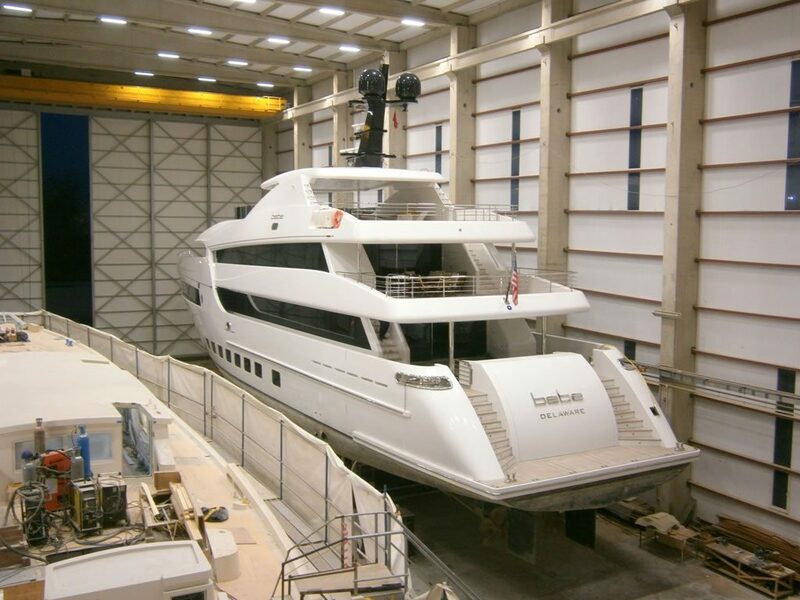 The Turkish shipyard Vos Marine launched the ultra-modern 47m (15ft) motor yacht BEBE in 2015. 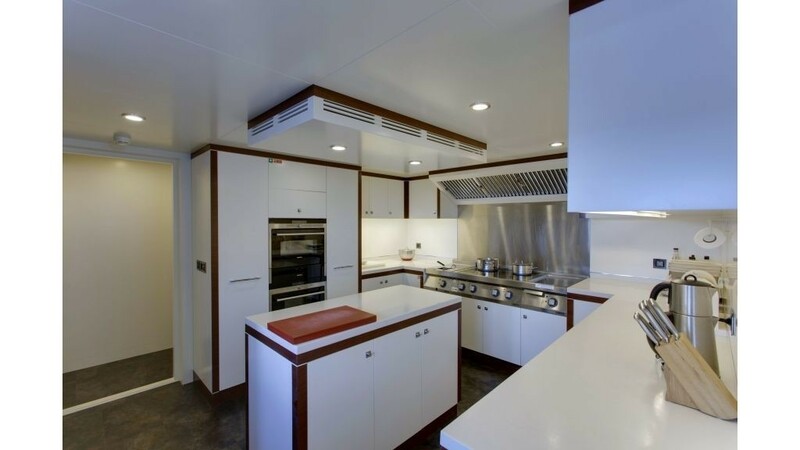 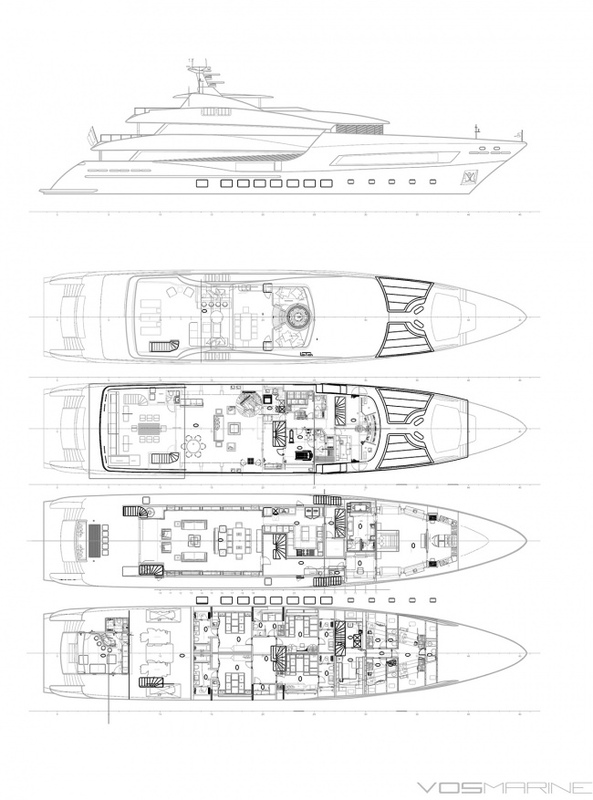 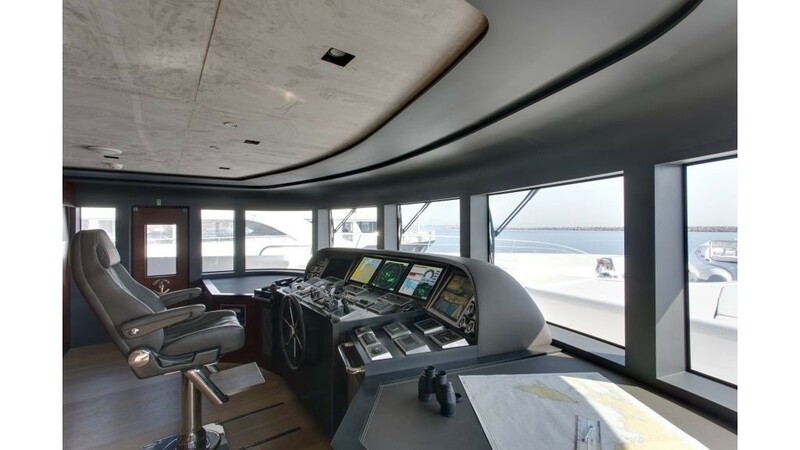 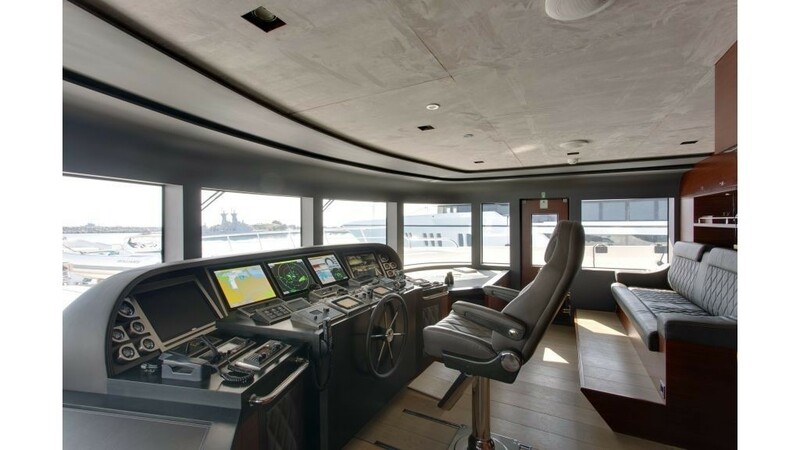 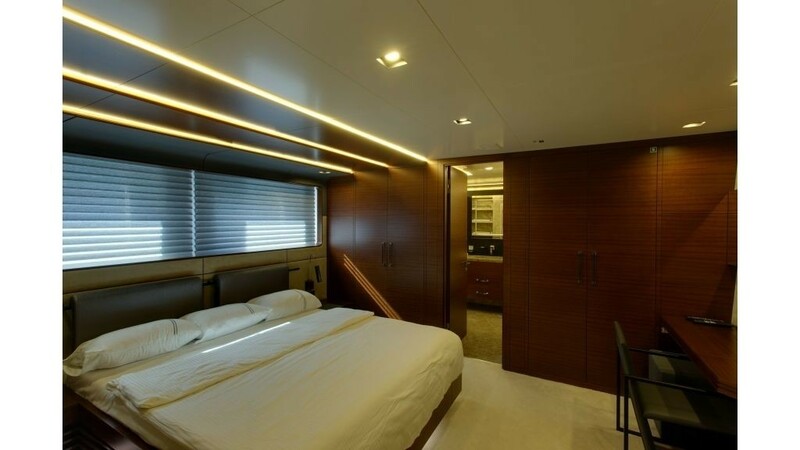 She is a steel-hulled vessel, powered by twin MTU engines and has a beautiful, modern interior. 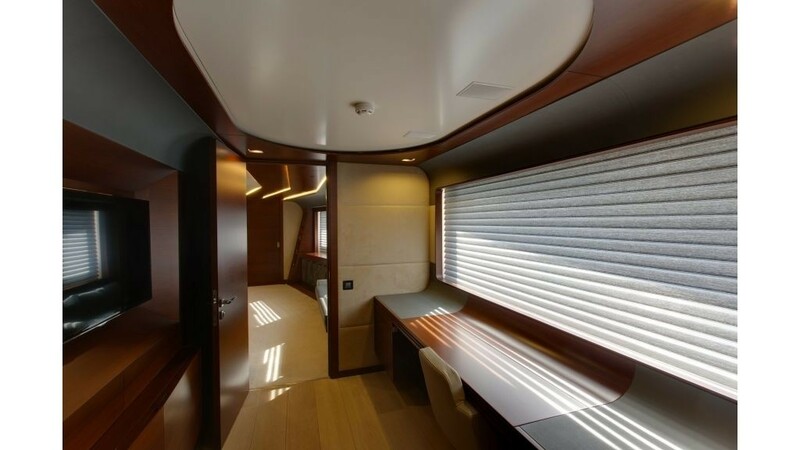 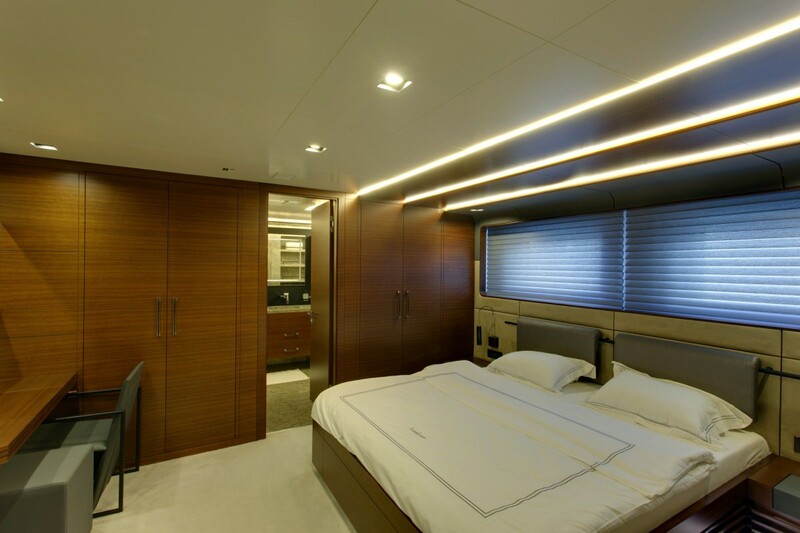 Soft-toned furnishings finish the boat off to perfection. 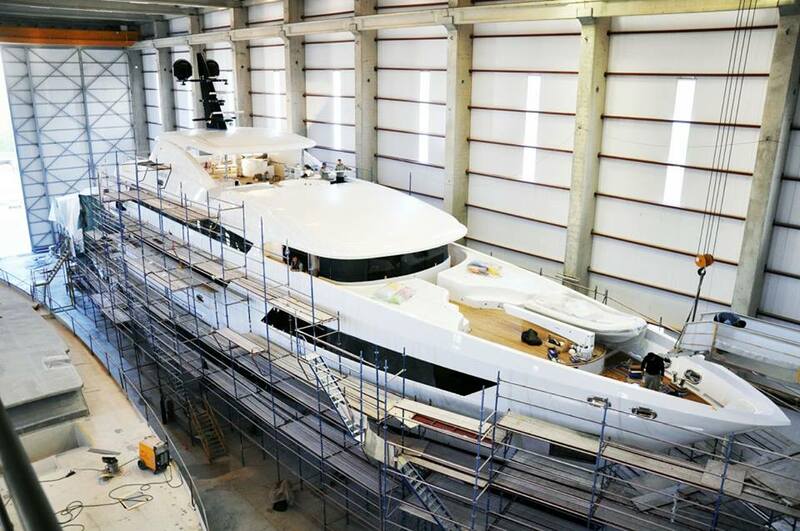 Bebe was built with the exterior being designed by SETA Design. 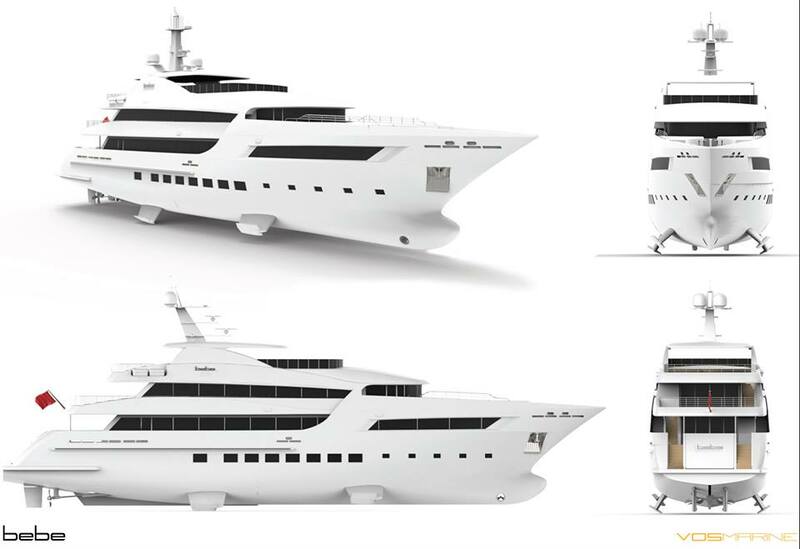 She balances innovative design with outstanding engineering. 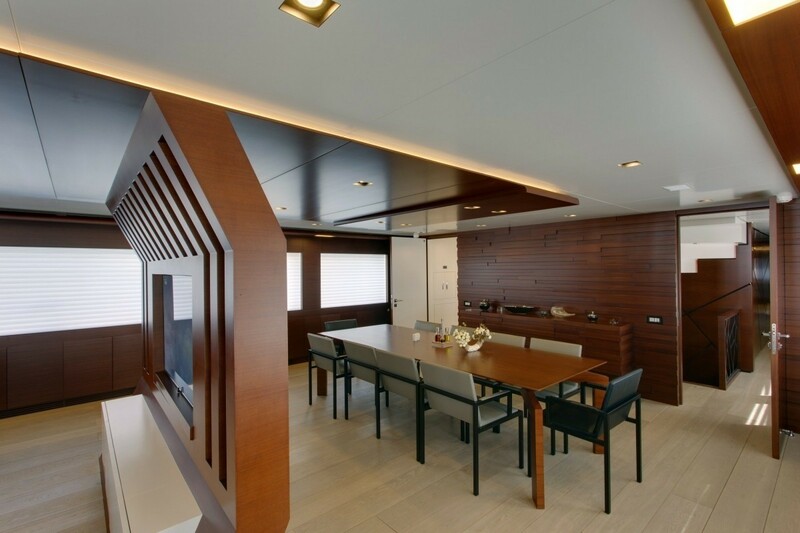 The interior was created by BTA Design. 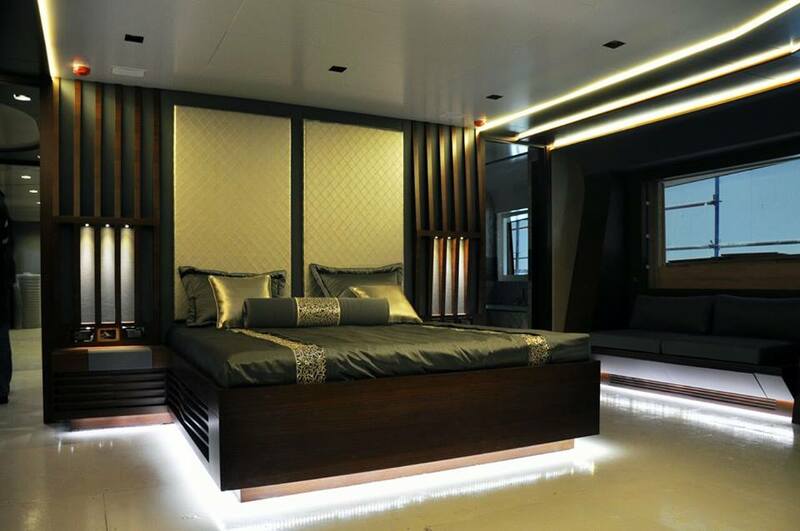 She sleeps up to 12 guests in six rooms. 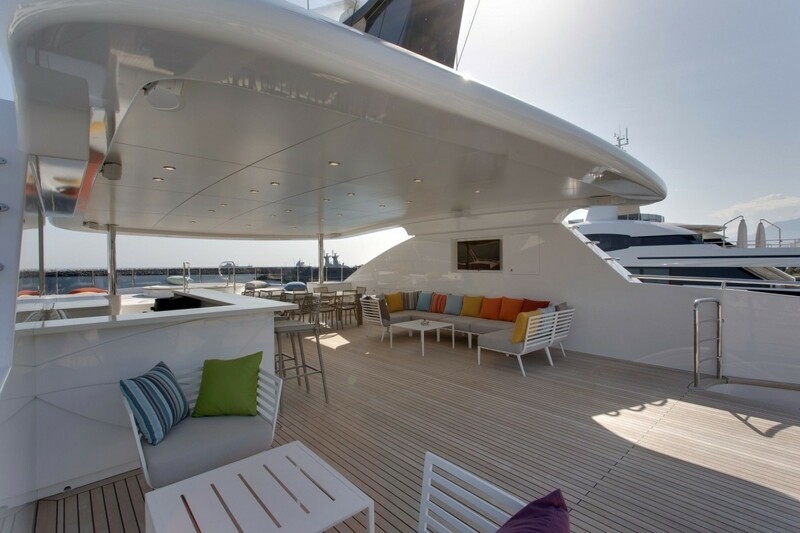 With many leisure and entertainment facilities onboard, Bebe is the ideal yacht for entertaining and socialising. 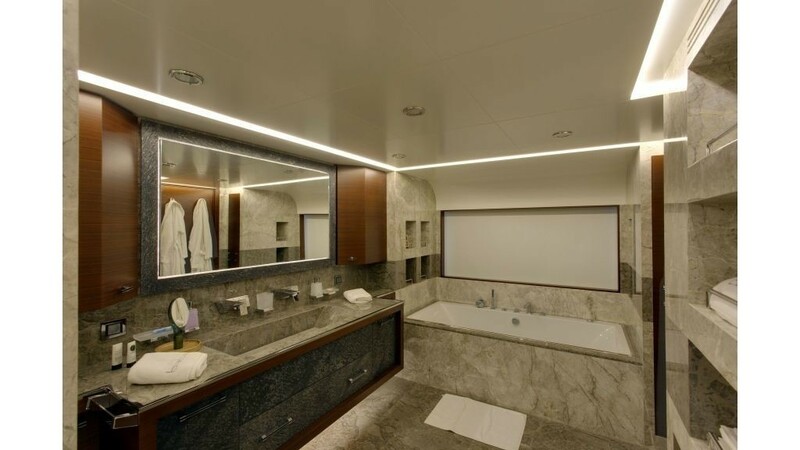 Her interior is spectacular with contrasting dark and lighter coloured woods, marble and natural stones in abundance. 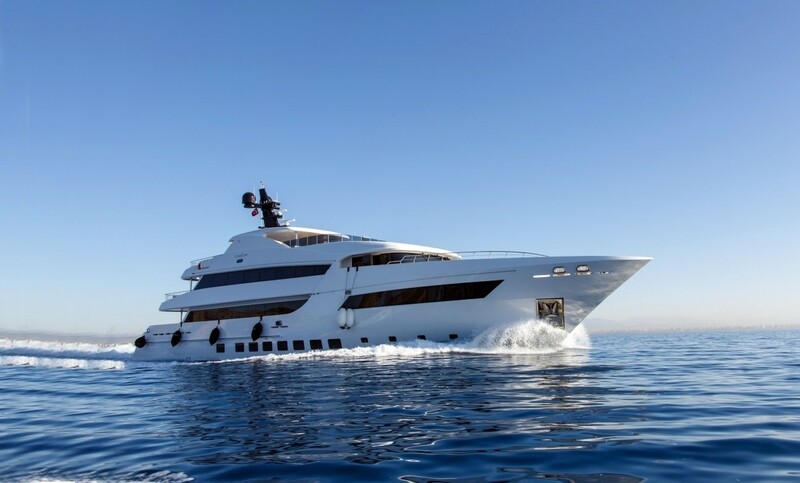 Currently up for the award “Best Displacement Motor Yacht below 500 GT of 47m+” Bebe is a prestigious superyacht that makes good use of her various spaces. 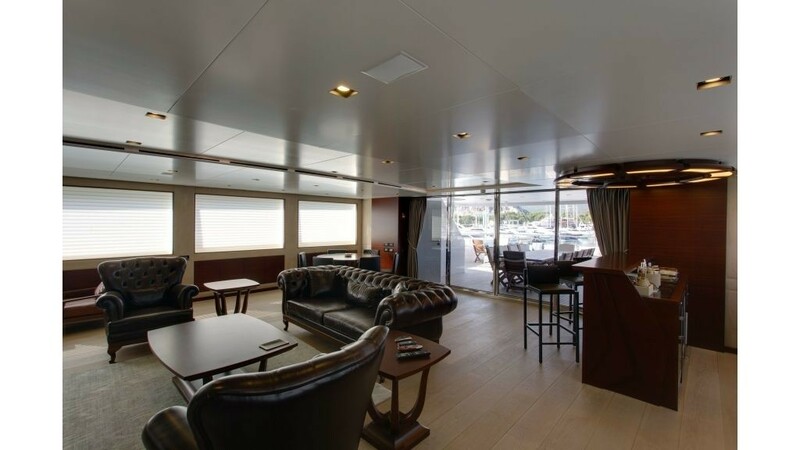 Ideal for dynamic luxury charter vacations, the different lounging and dining options make this vessel one of the most versatile around. 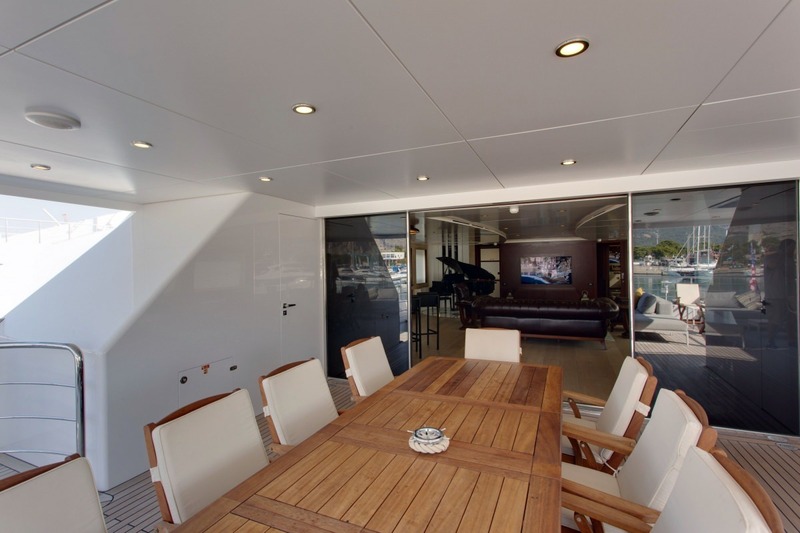 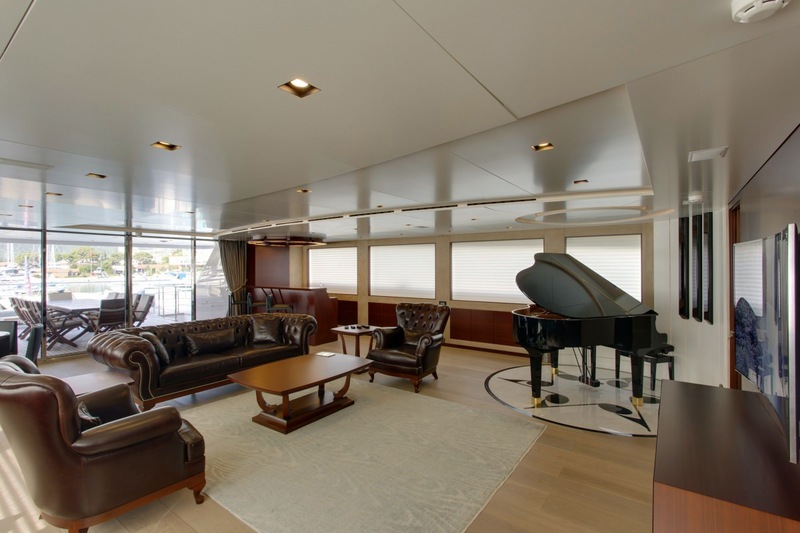 Making good use of the yacht’s length, Bebe’s interior space includes a central dining area, a main salon along with a cocktail lounge. 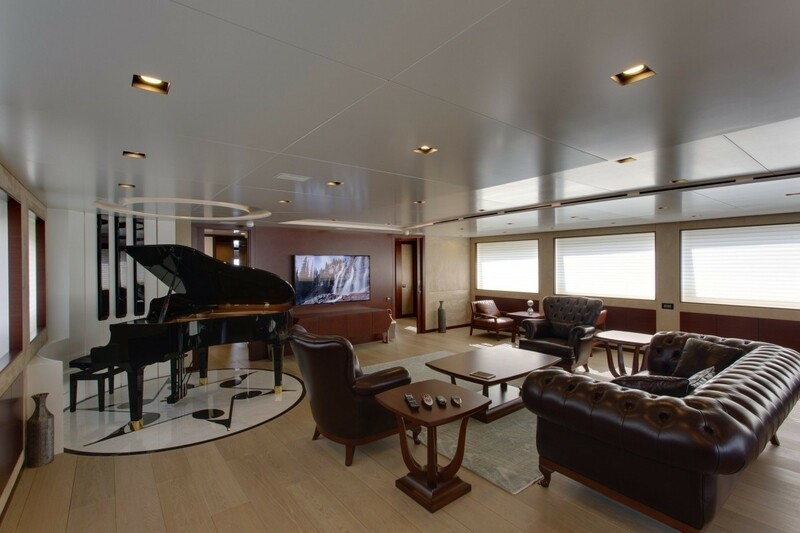 The impressive cocktail lounge comes with a grand piano towards the aft deck. 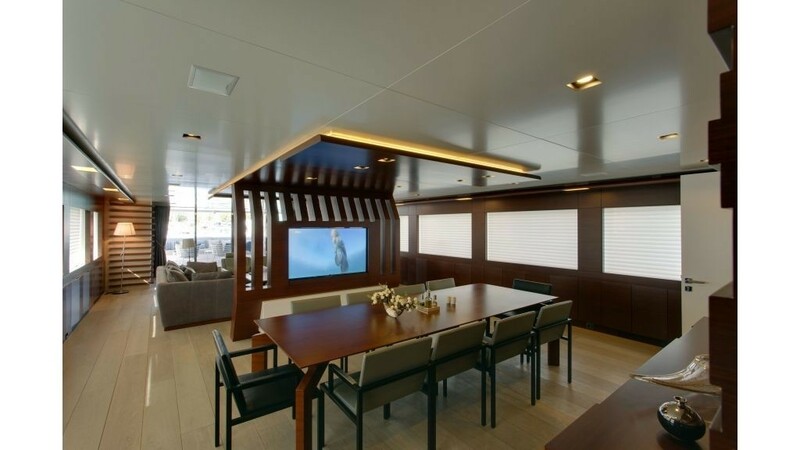 In order to separate each of these spaces, there has been a number of partitions installed, some even boast embedded television screens, a subtle touch for such a refined vessel. 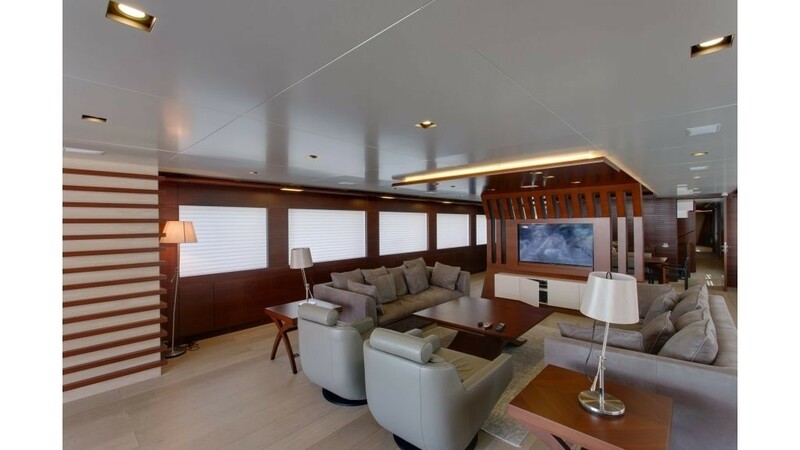 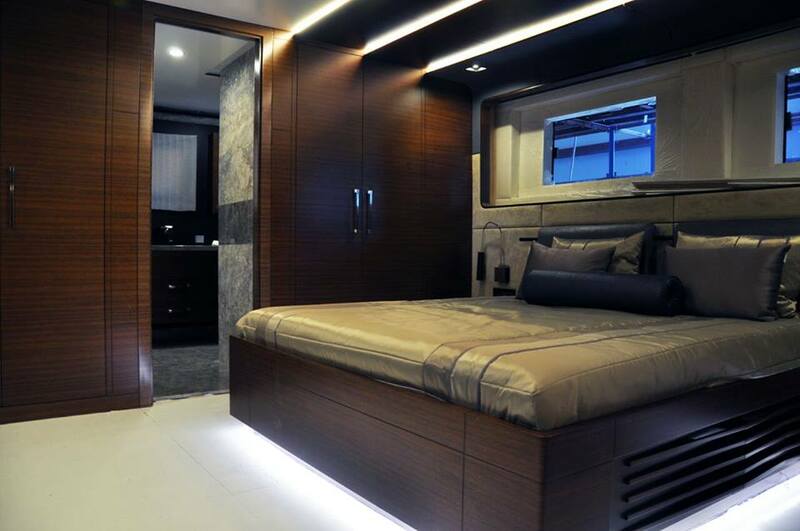 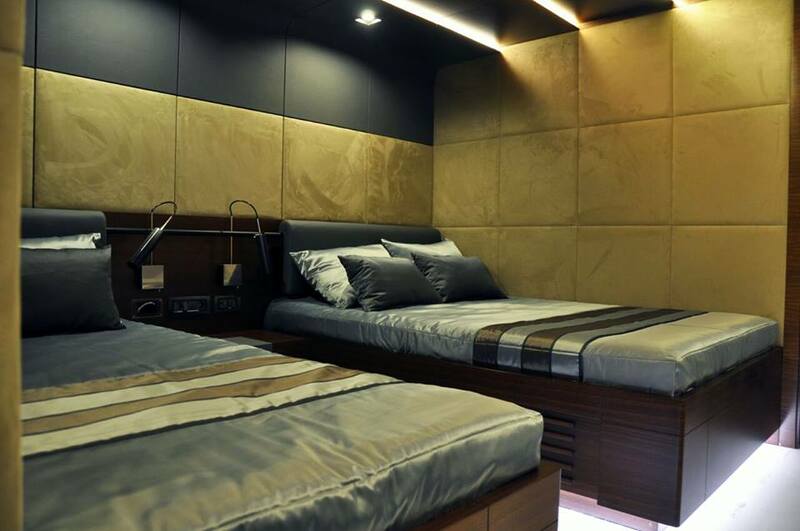 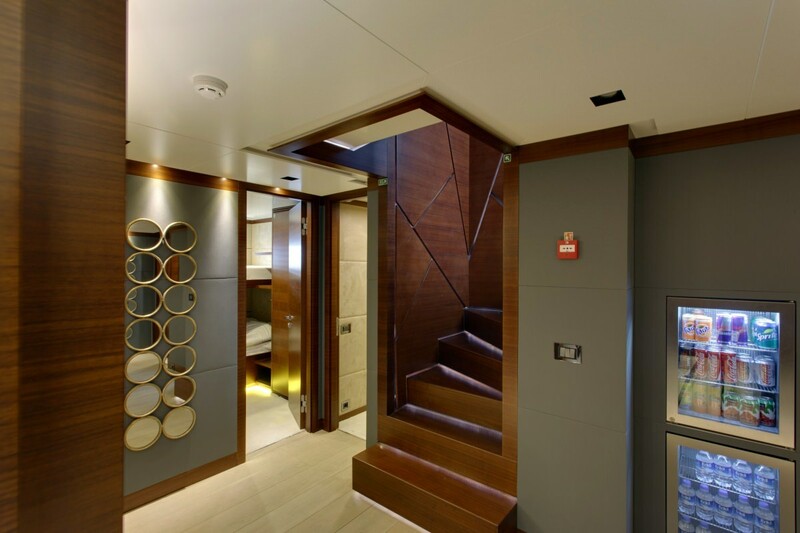 The luxurious décor of this superyacht brings together a wonderful collection of textures and materials to produce a relaxing atmosphere. 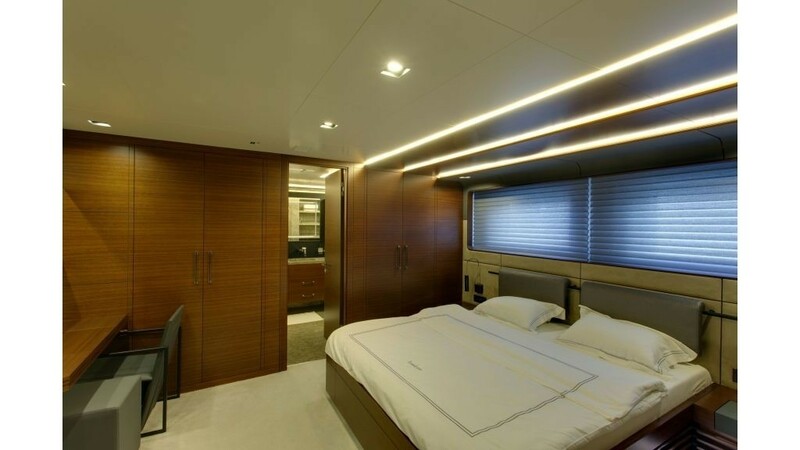 The BTA Design team has beautifully offset darker shades with splashes of colour and recessed lighting, perfect for social and private spaces. 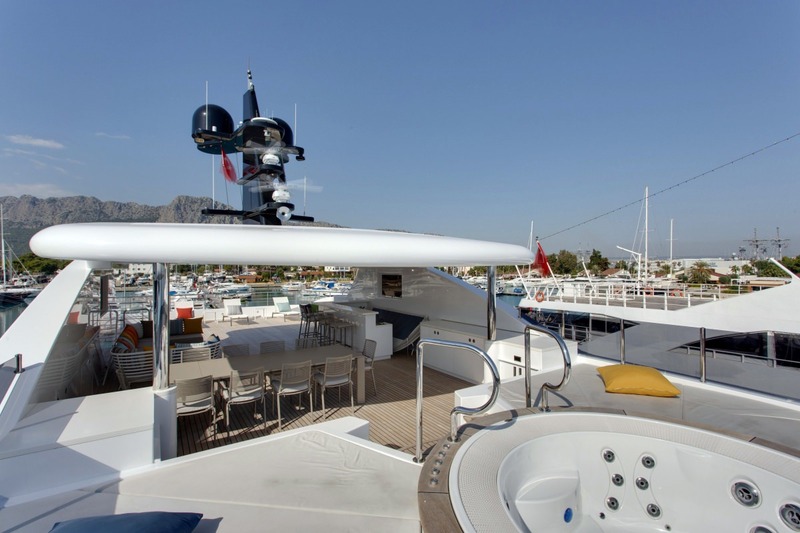 Bebe also has air conditioning throughout with at anchor stabilisers which give passengers a smooth ride. 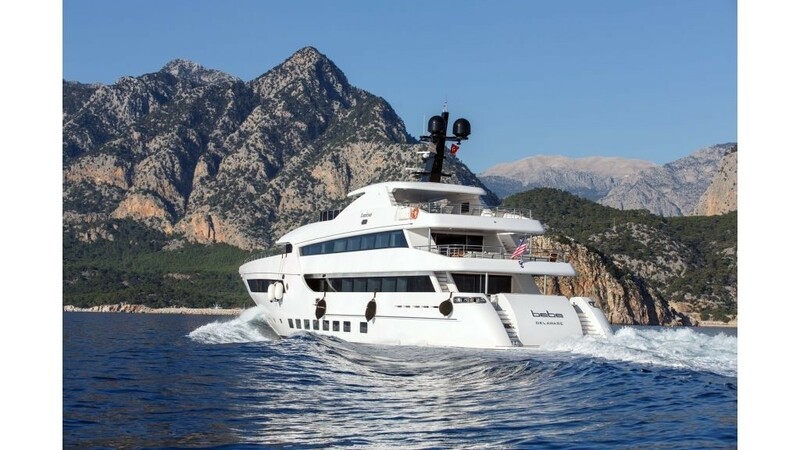 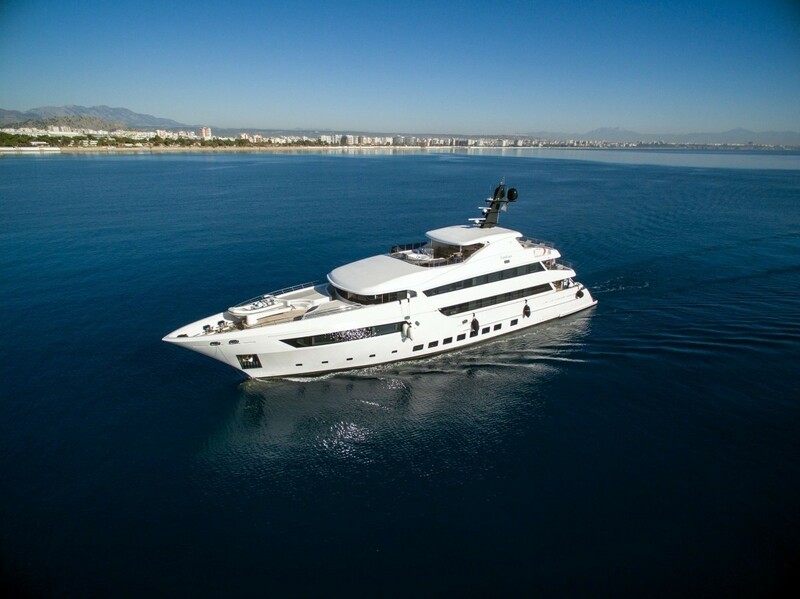 Her exterior features wonderful lounging options as well as staircases on both the port and starboard sides which lead down to the spacious swim platform. 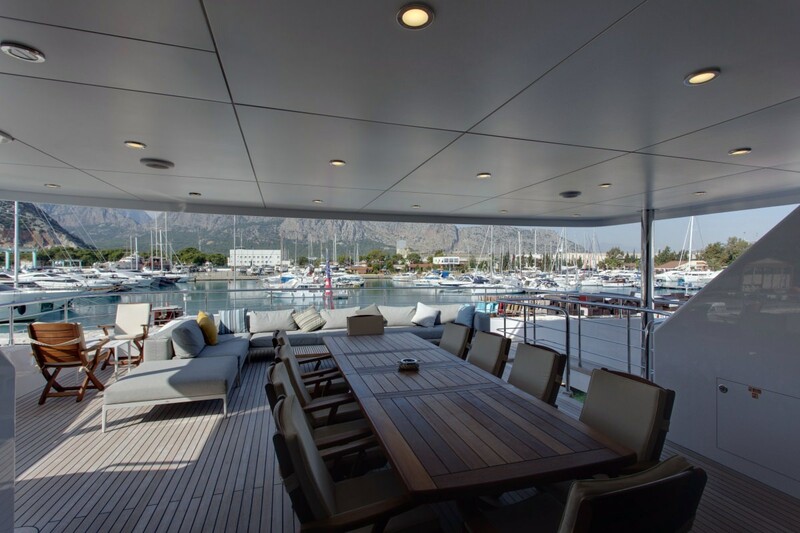 There’s a barbecue for al fresco dining and a beautiful swimming pool. 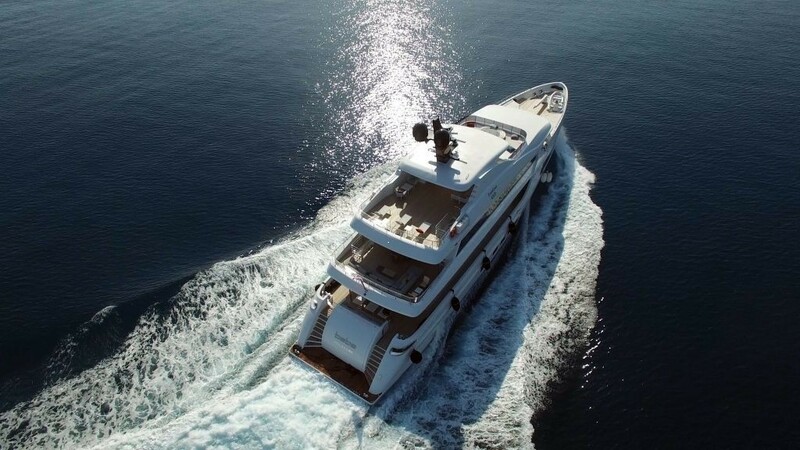 Providing easy access to the water, the swim platform makes boarding the tenders and diving effortless. 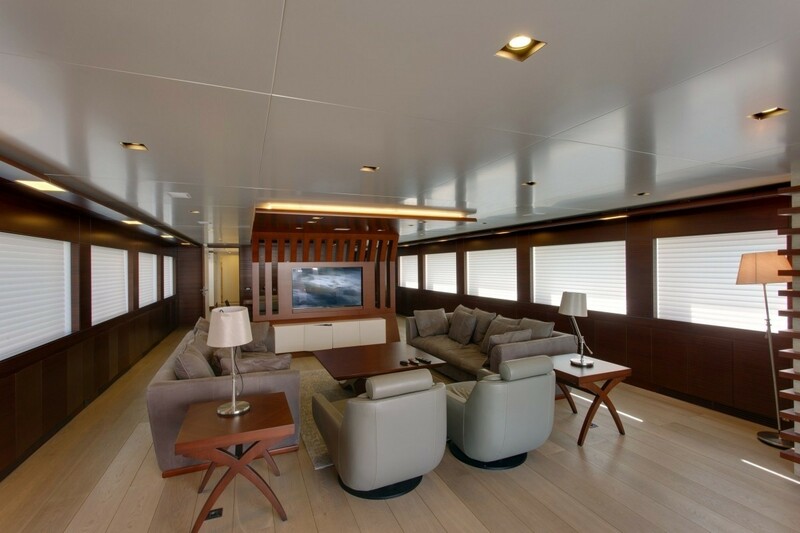 There are many reasons for guests to stay outdoors while at sea or when at anchor. 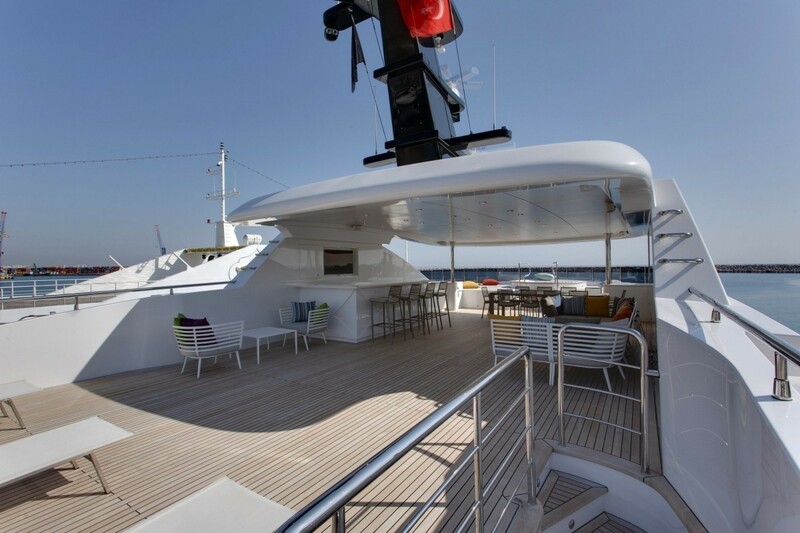 On the upper deck, the Jacuzzi situated towards the fore provides a fascinating observation point while the main and lower decks offer a wealth of comfortable seating in the sun and in the shade. 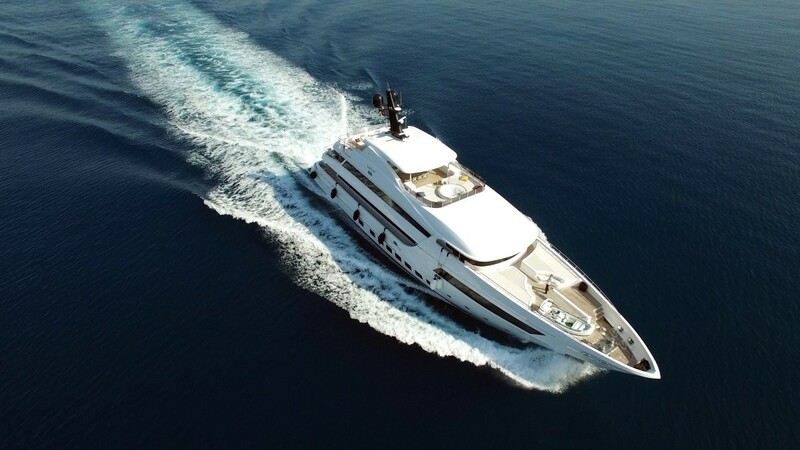 Bebe can travel at 17 knots maximum speed with a cruising speed of 13 knots. 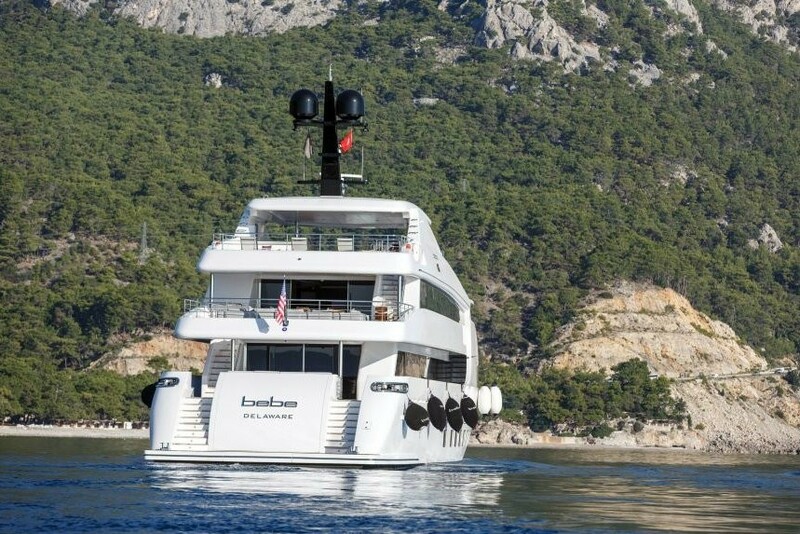 This custom displacement superyacht features at anchor stabilisers that work at zero speed. 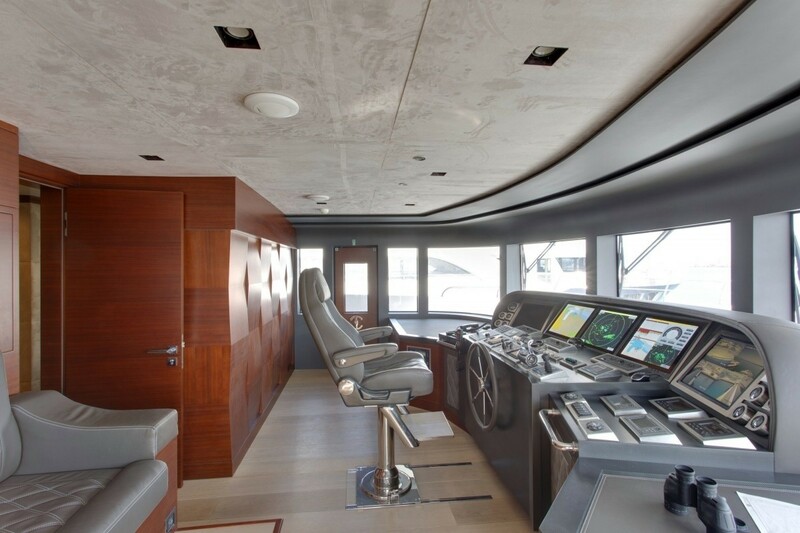 This increases comfort onboard when at anchor as well as on rough waters. 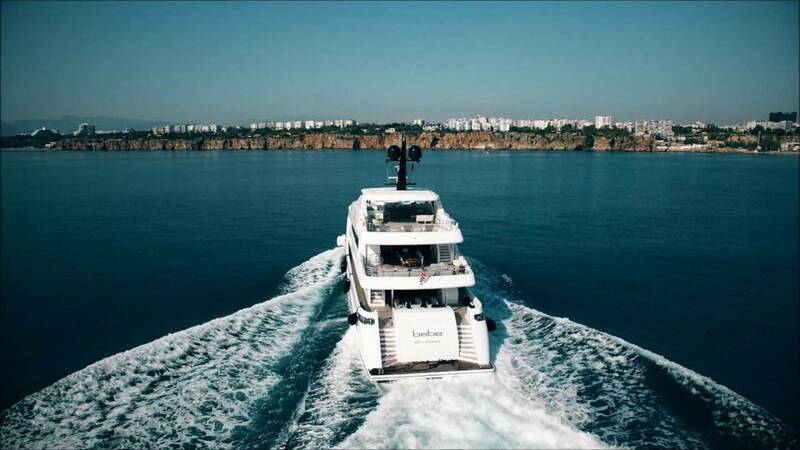 Sleeping up to 12 guests in six rooms Bebe’s accommodation includes a stunning master suite, 2 fabulous staterooms and 2 comfortable double cabins. 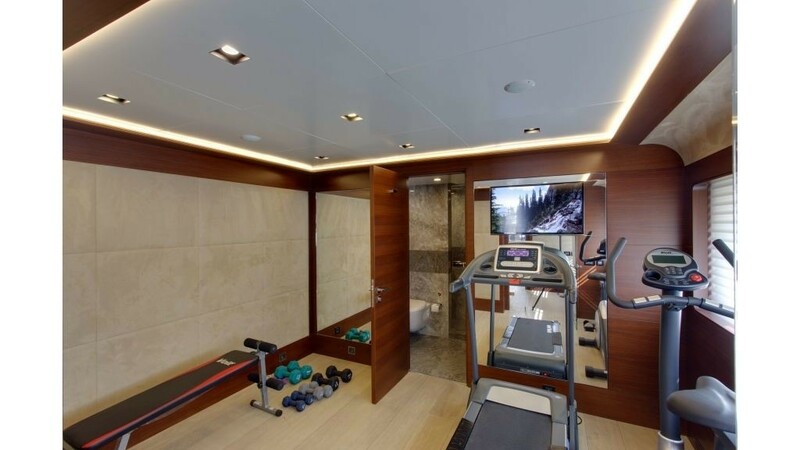 There’s also a nanny’s cabin large enough for two people. 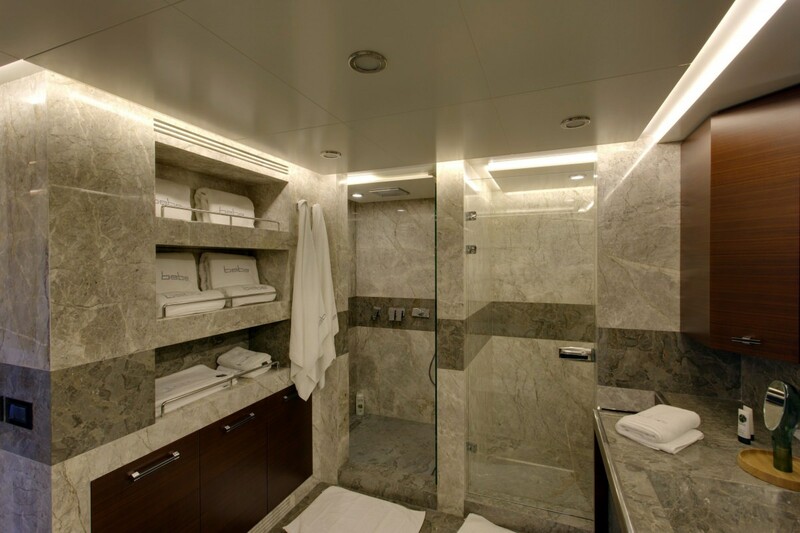 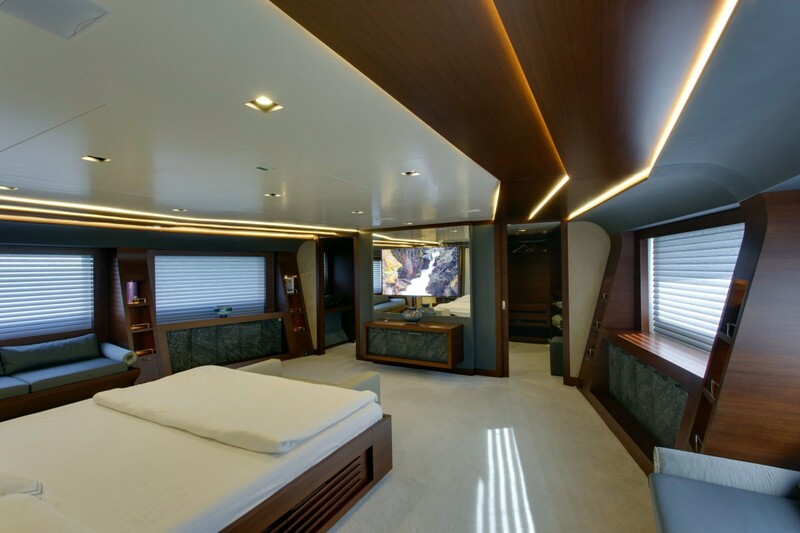 The full beam master suite has its very own walk-around closet while the other guest staterooms are superbly furnished and well decorated. 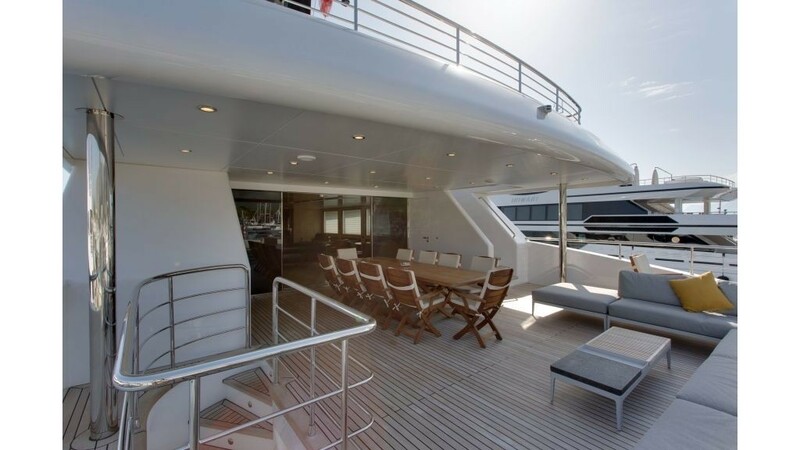 She can carry up to 10 crew who make sure everyone is well catered for. 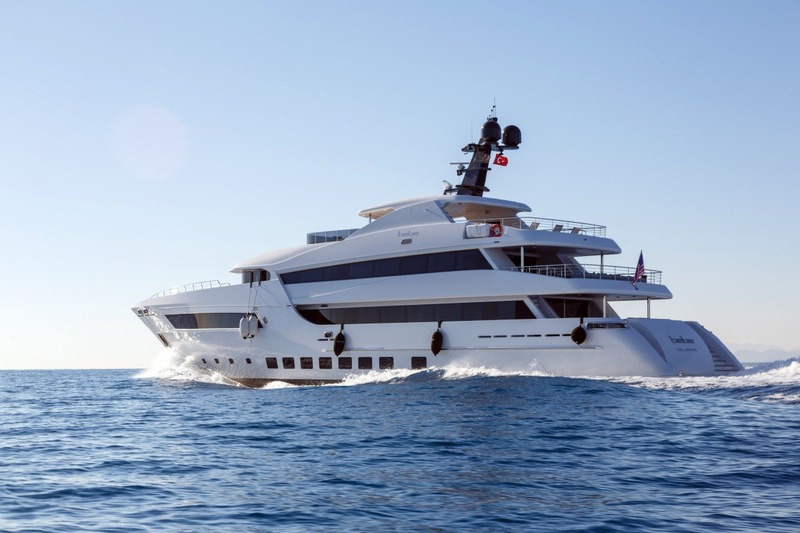 With her timeless styling, sophisticated furnishings and elegant furniture, Bebe is a truly impressive vessel.